Texas has recently updated its knife laws in September 2017. Knife laws of this State have some complexity and these need details explanation to be understood. Laws for the minors and blade sizes are important factors here. Knife carry laws and knife possession laws are also there. 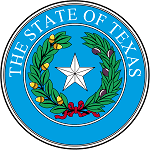 To know more about Texas Knife Laws, you can rely on this article. Hope this would help! There remain knives left as prohibited to possess or own in Texas from its last update. But still, the knuckles are prohibited to possess, manufacture, repair, sell, purchase or to transport here. Switchblades, gravity knives, and other automatic knives are legal. Many things and definitions also have changed in the last and recent update of the knife laws of 2017. There is no different law for carrying knives concealed or openly. Both the process of carrying restricted knives are illegal here and offended. We are not providing you the old laws to confuse you more rather we are here to give you the updated law in a short and effective way which will be easy-to-understand. You will find the complete changed laws in here https://legiscan.com/TX/text/HB1935/2017. There remains no illegal knife or restricted knife in the laws from the update. Not even daggers, dirks or stilettos, Bowie, swords etc. Only the blade length now matters. 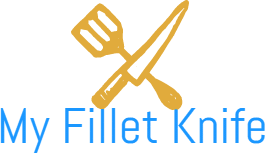 Know more about the knife carry laws now. It will be illegal if anyone intentionally, knowingly and recklessly carries a “location-restricted knife” which is with the blade length of more than five and one-half inches. If a person less than eighteen years old carries a location-restricted knife and gets caught. When the person is not on his or her own private residence. If the person is not on a motor vehicle which is totally owned by him or her and under his or her control. When a minor under eighteen years old carries one and is not under the guidance or direct supervision of his or her parents or legal guardians. Punishment: it will be a Class C misdemeanor if anyone violates these subsections and gets offended. Exceptions: carrying knives or location-restricted knives can be legal if anyone goes for lawful hunting, fishing or for historical reenactment. It has already been mentioned about the minor’s knife laws. They (less than eighteen years old) cannot carry knives more than 5.5” of blade lengths and this would be illegal. Also, anyone cannot sell, transfer or make any dealing of location-restricted knives with the minors without any parental consent. This is illegal and punishable here too. Knife laws for the minors are very strict in Texas. Five and one-half (5.5”) is the blade length that considers a knife to be legal or illegal to carry. More than this size is considered the dangerous ones and these should not be carried openly or concealed. Even if you are adult and more than eighteen years old, you should not carry more than this blade length’s knives because this is illegal here. Restricted places include schools, colleges or other educational institutions, courthouses, govt. places or buildings, hospitals, airports, amusement parks, religious places etc. So, all these places are considered as knives or weapon-free zones. Carrying or possessing any kind of weapon or knives in these places is punishable unless you have a special permit. Knife laws in Texas may confuse you because most of the sites have not yet covered the updated laws which have been repealed in September 2017. A lot of things have been changed in the statutes along with the definitions. Do not mess up with the old laws and know the recent laws in details before you carry or possess any knife in this State. Just remember that you can own any kind of knife under your control or in your private residence except for the knuckles. And when it is about carrying them, the knives should be of 5.5” blade length or less. And do not forget the laws for the minors, which is one of the most important facts here.